As you can see, that’s an intense bowl of super rich, super healing pork broth enhanced with a generous pour of black garlic infused oil. On the side, an egg cooked in soy sauce. The egg made its way into the bowl and I gobbled up every last bite, convinced that within 12 hours I’d be as good as new. 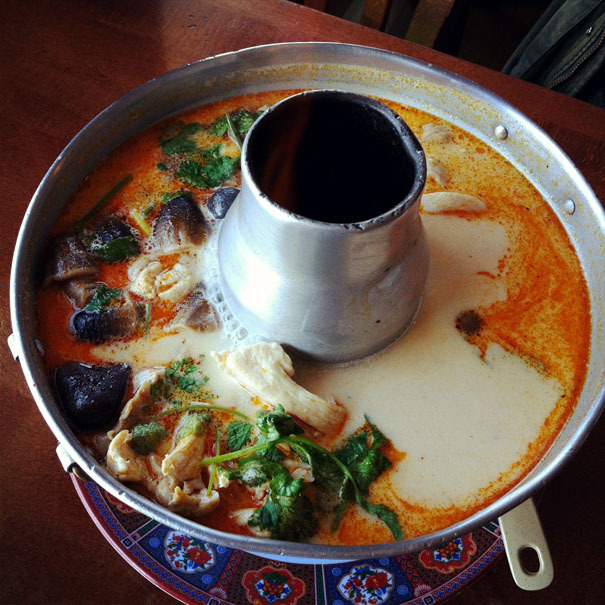 Floating in there, amongst pieces of chicken, were whole mushrooms, big slivers of ginger (or was it galangal? ), Kaffir lime leaves, pieces of lemongrass and cilantro. It was like the most healing bowl of chicken soup made even more healing with all that citrus flavor. 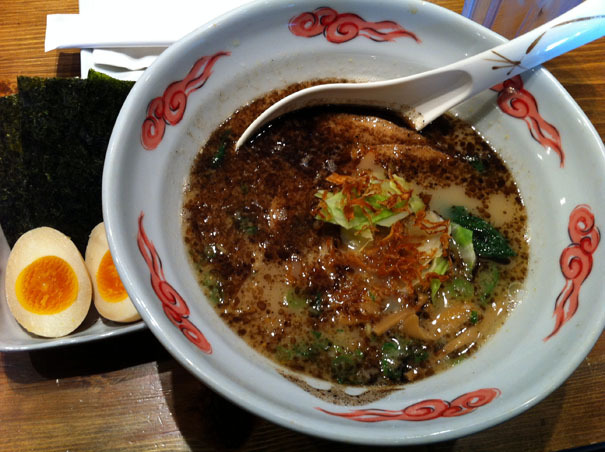 Was it more healing than the ramen at Roboto Jinya? Or, for that matter, more healing than the chicken noodle soup of my ancestors? The short answer is: “Yes.” By the next day, I started feeling better. 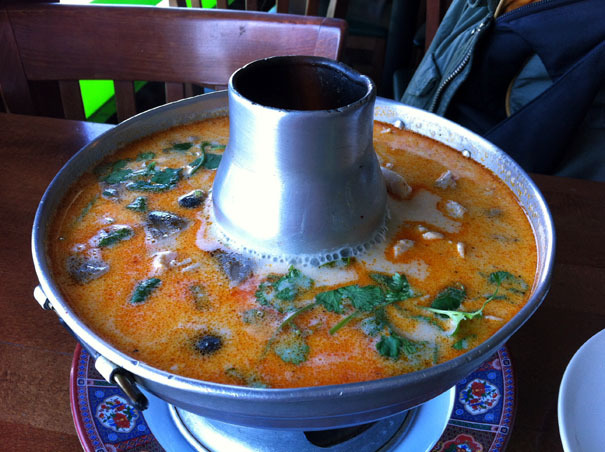 Thank you reader John for your suggestion; in the battle of cold-curing soups, Thailand wins.